No Concrete down your pipelines! No more roto-hammering and repairing! Cost Effective, Efficient, Superior Quality! 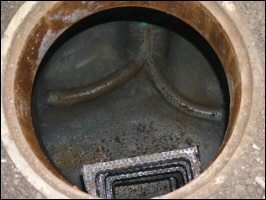 Call us if you are tired of Channeling your own manholes or don't know how! Call us for a quote!